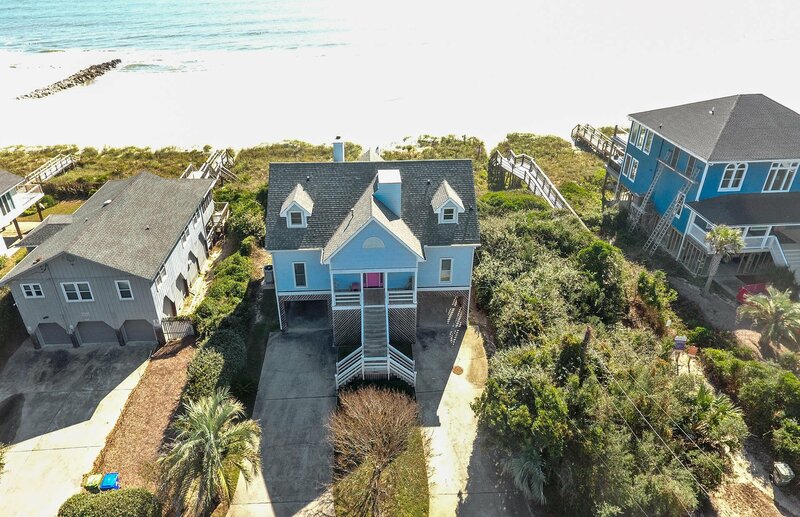 Is this the oceanfront home you've been waiting for? 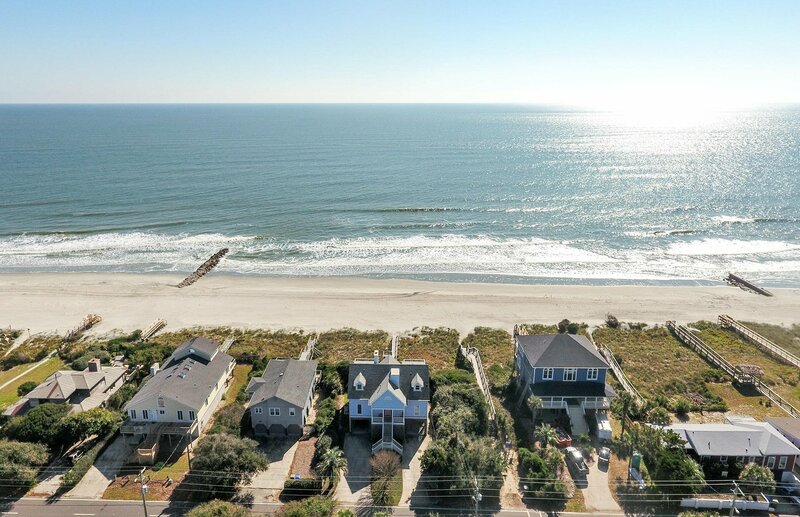 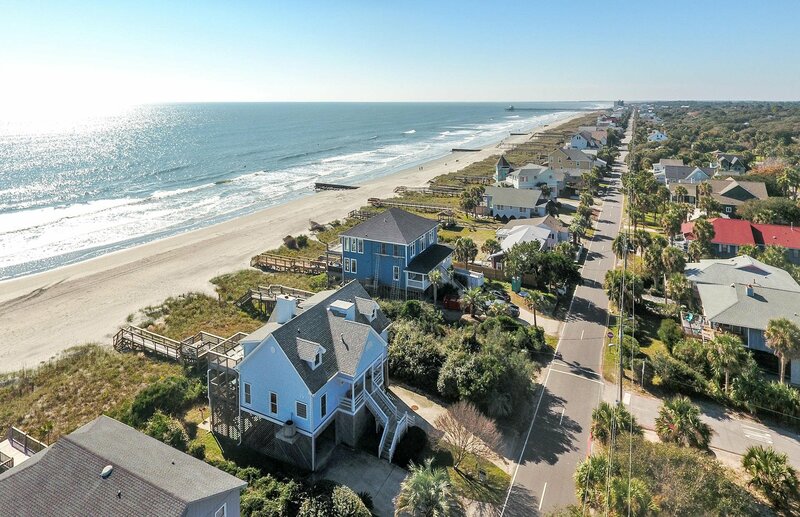 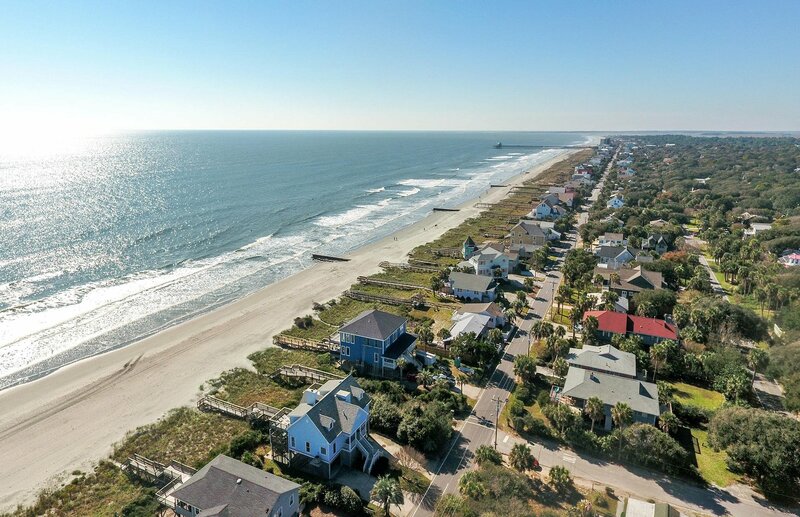 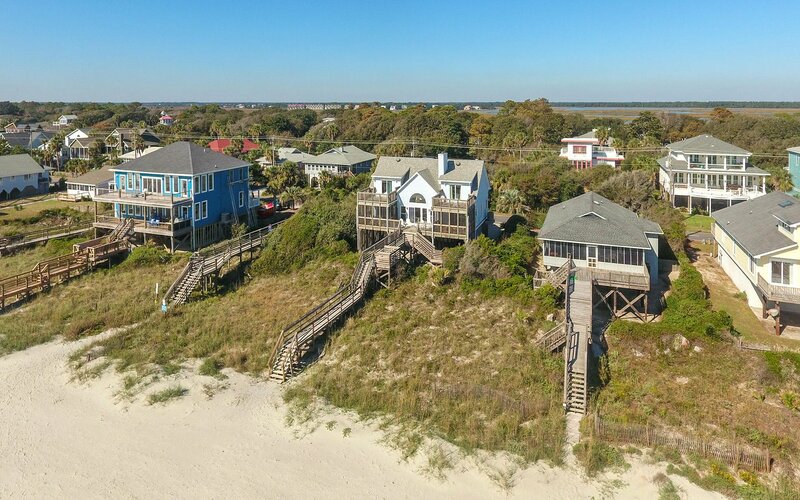 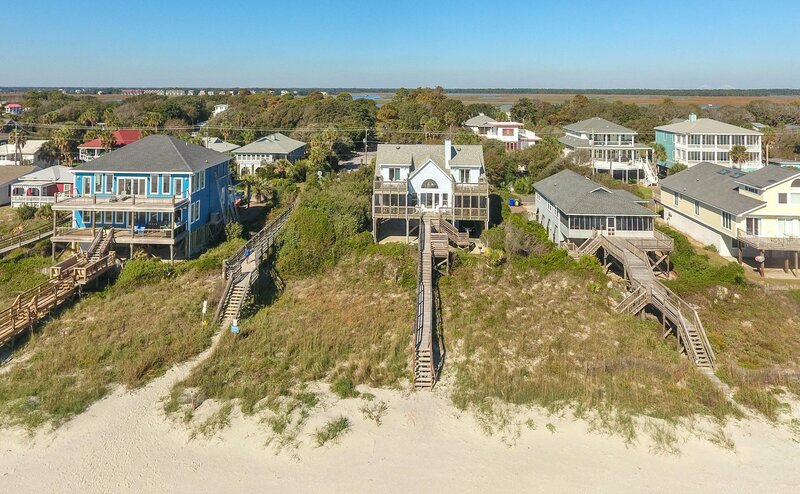 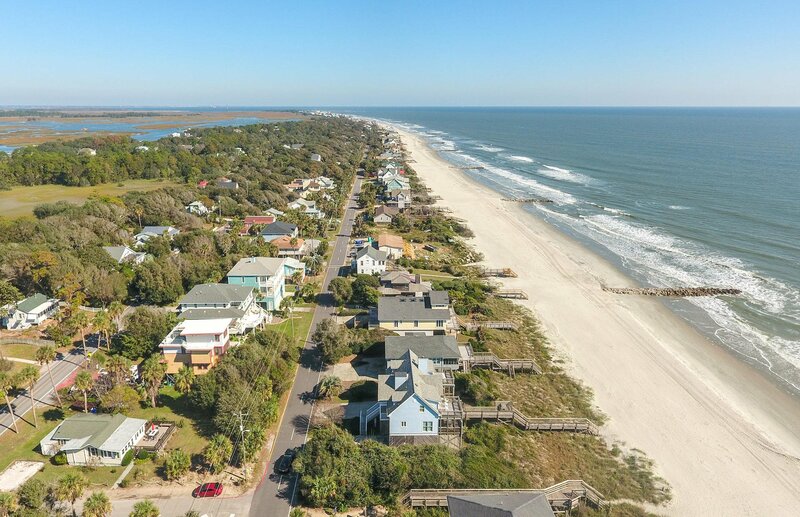 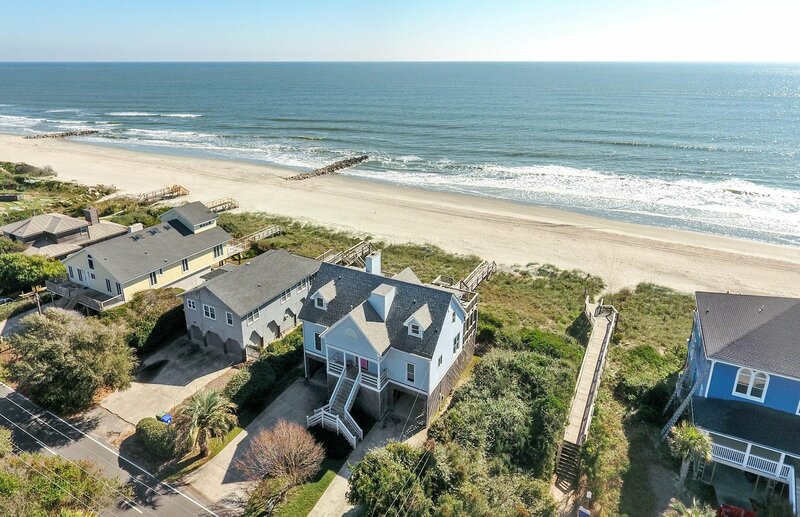 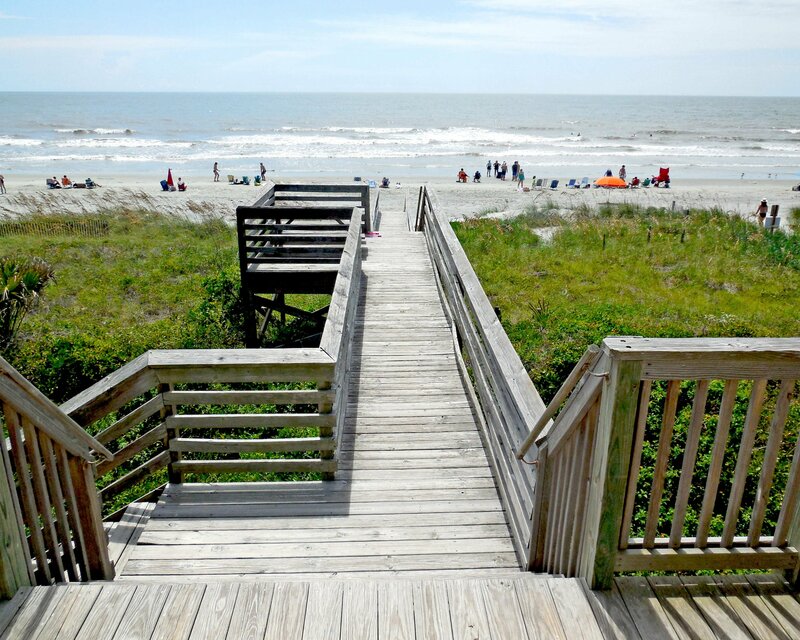 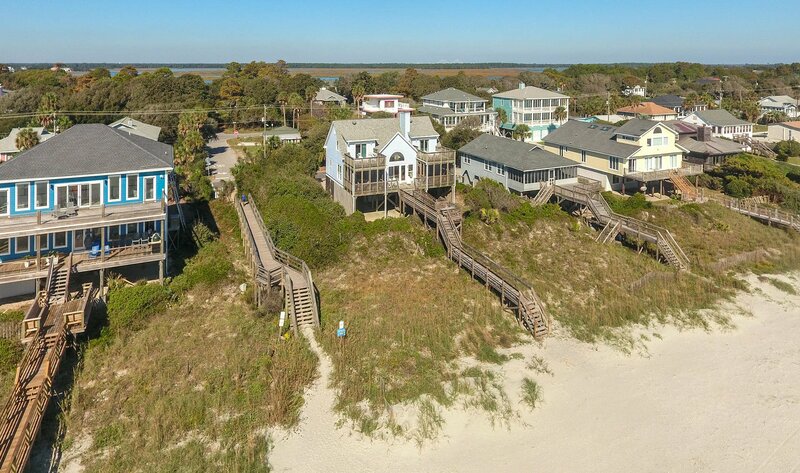 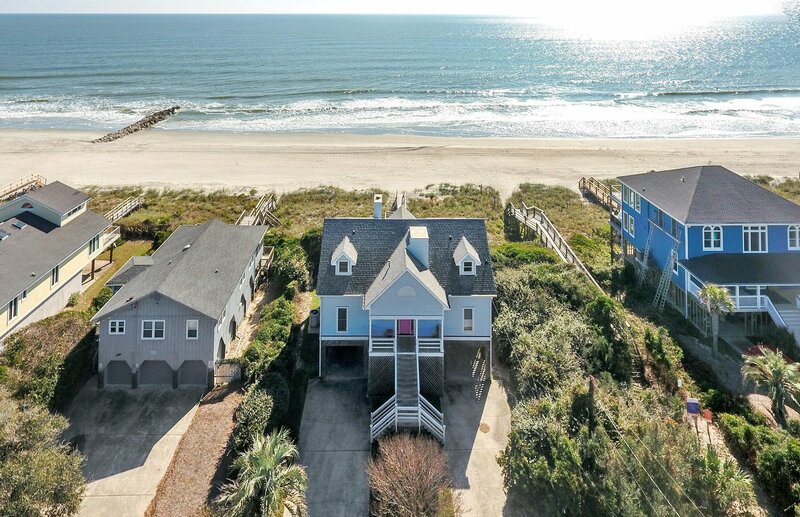 Rare opportunity to buy an oceanfront home for less than $1.5 million! 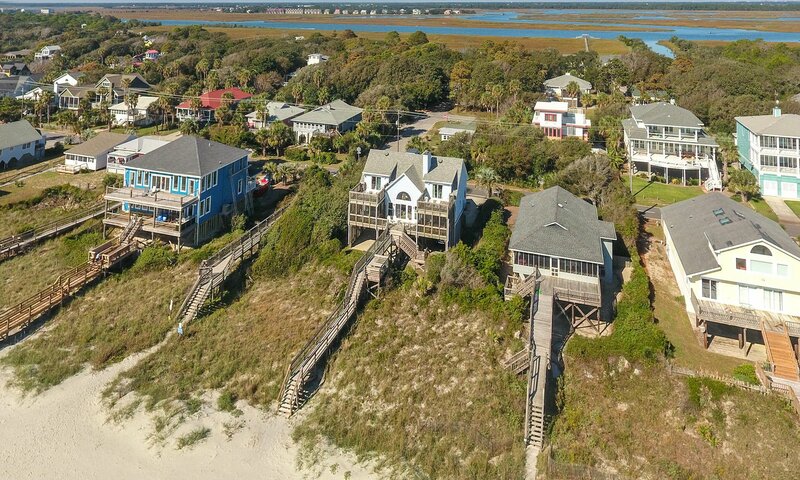 Very strong vacation rental income history. 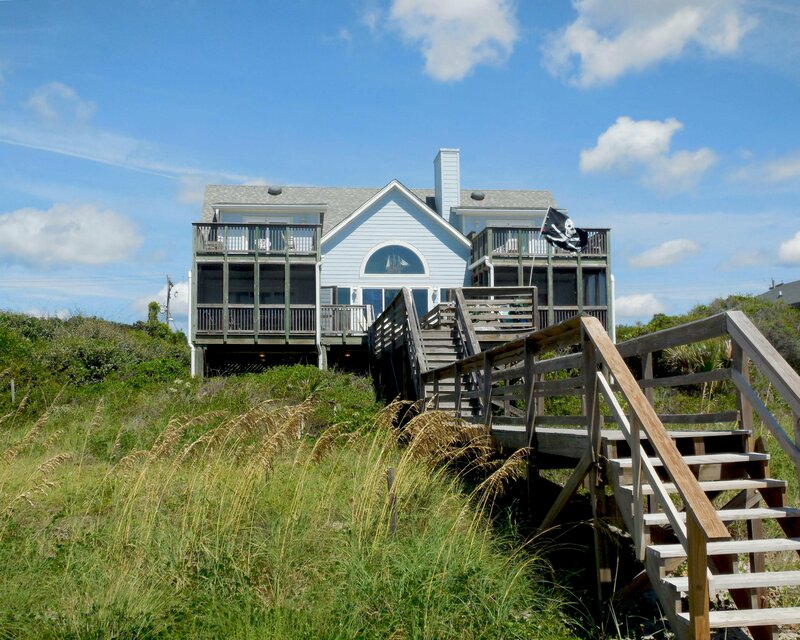 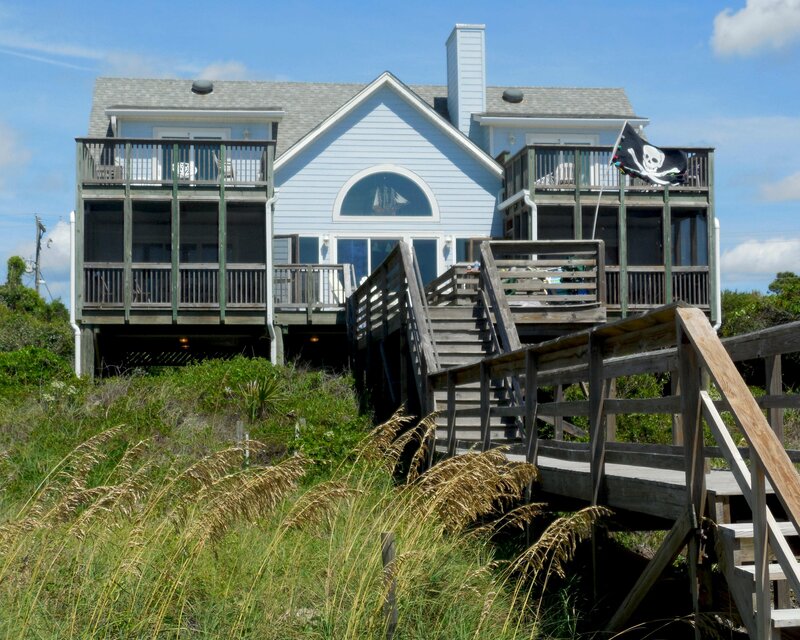 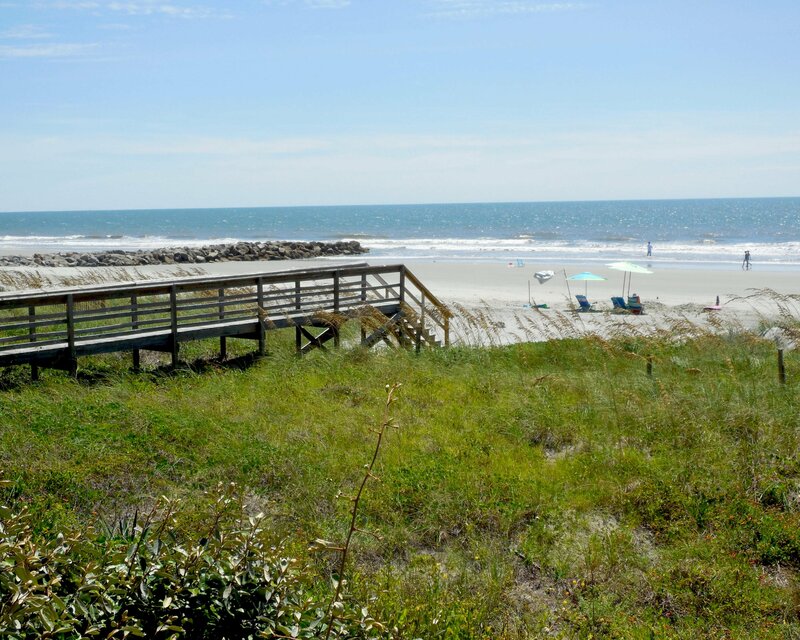 This home has a good buffer with dunes and vegetation in front of the beach and is part of the current renourishment. 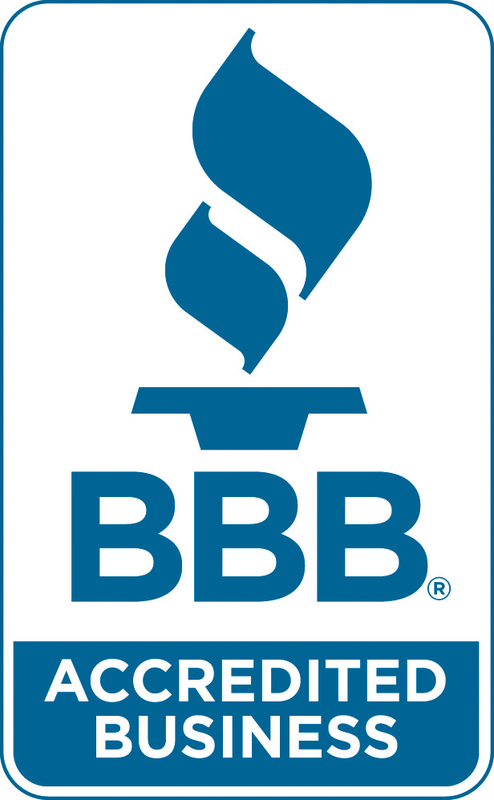 In other words, very good buffer now and about to get even better. 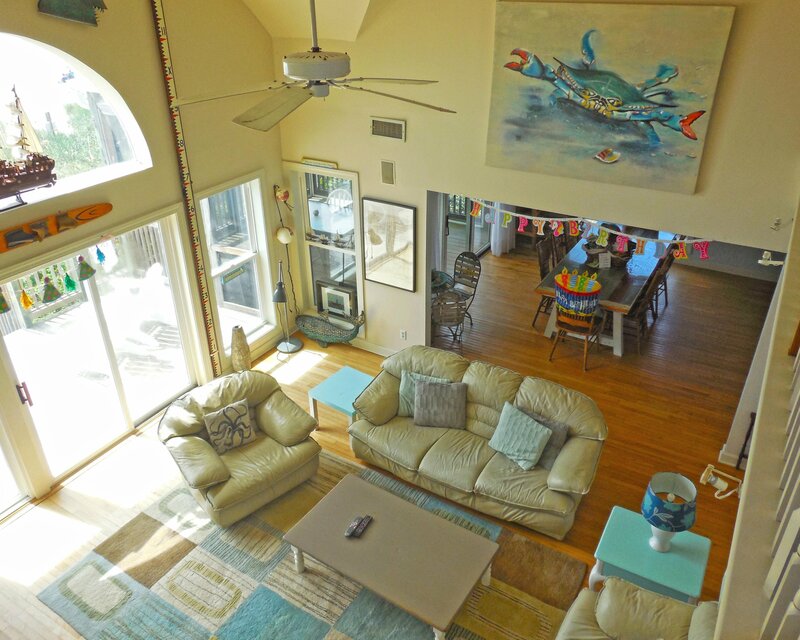 The main living area has an open layout and the vaulted ceiling in the living room adds to the airy feeling. 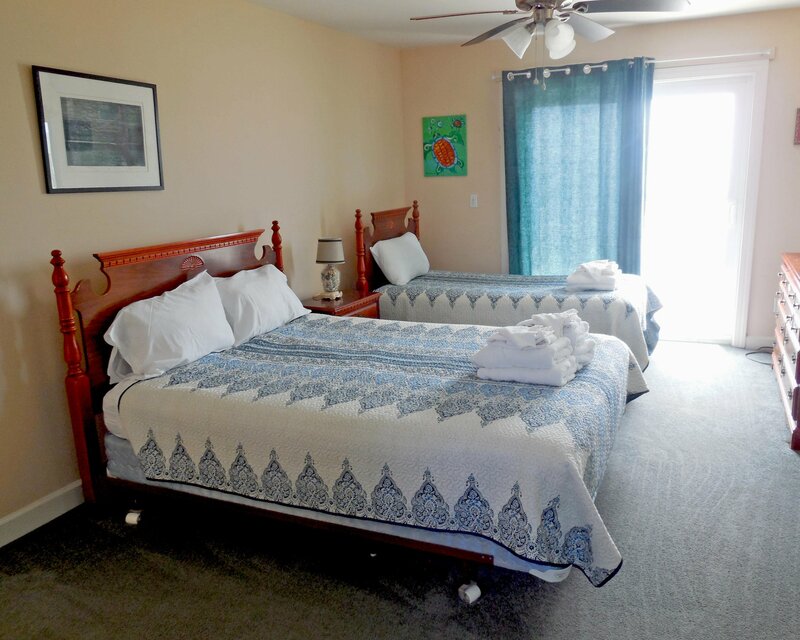 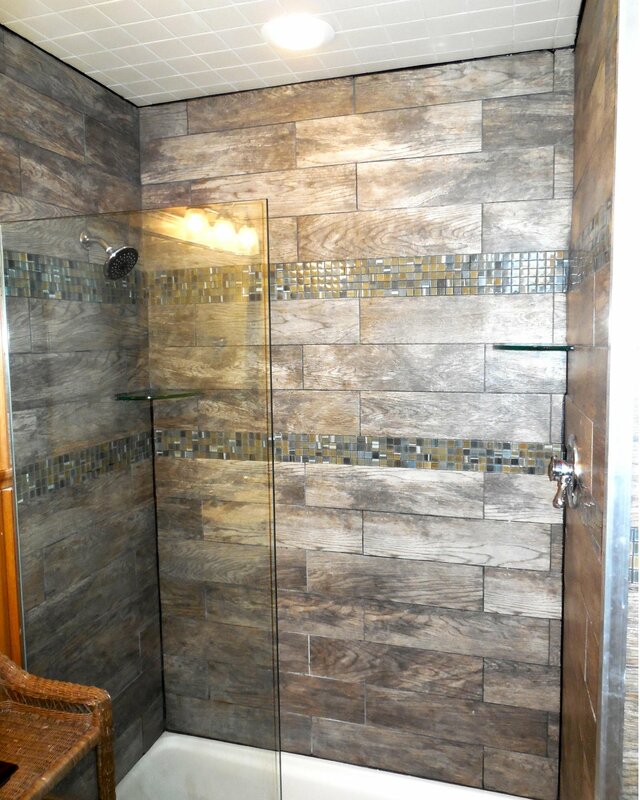 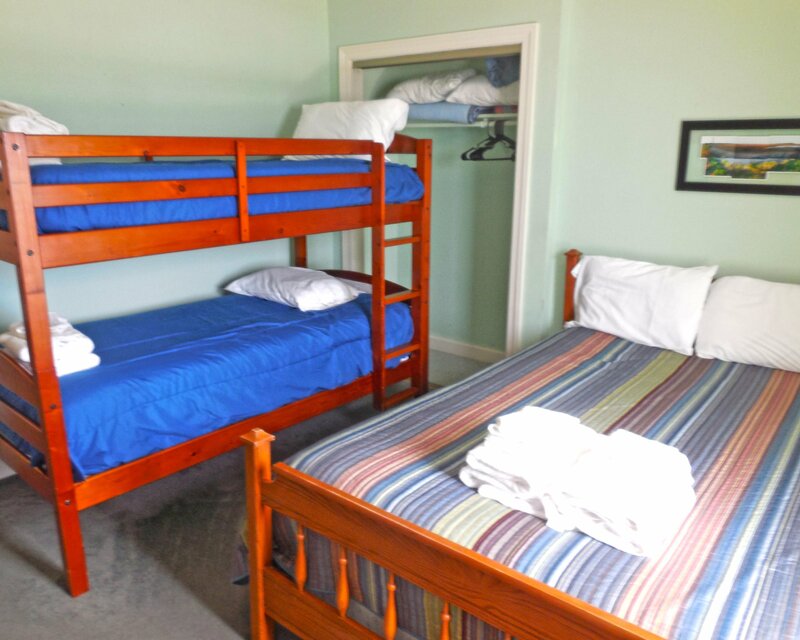 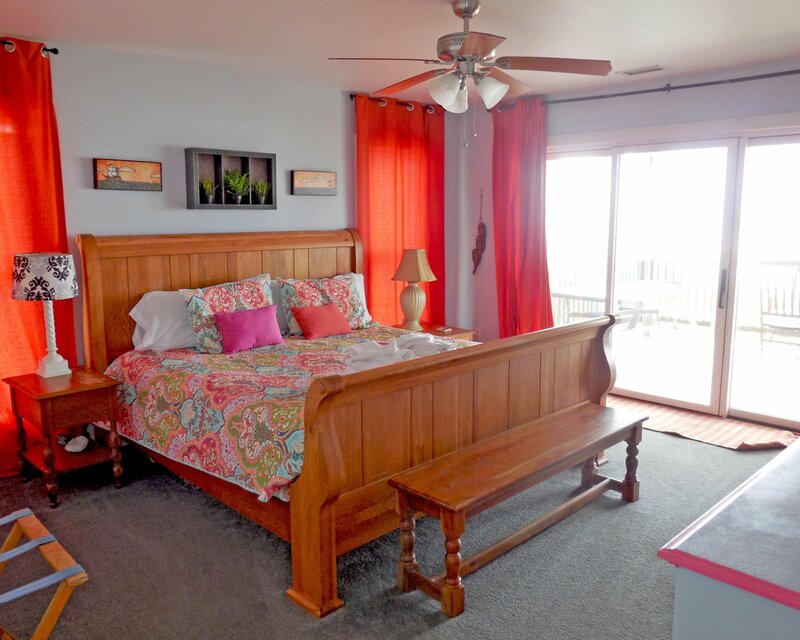 The large master bedroom on the first floor has an ensuite bath and a screened porch. 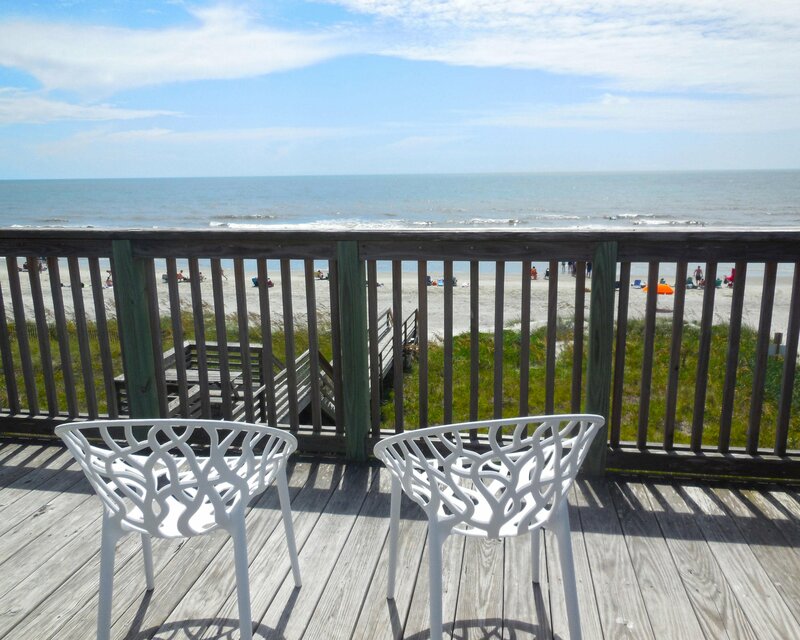 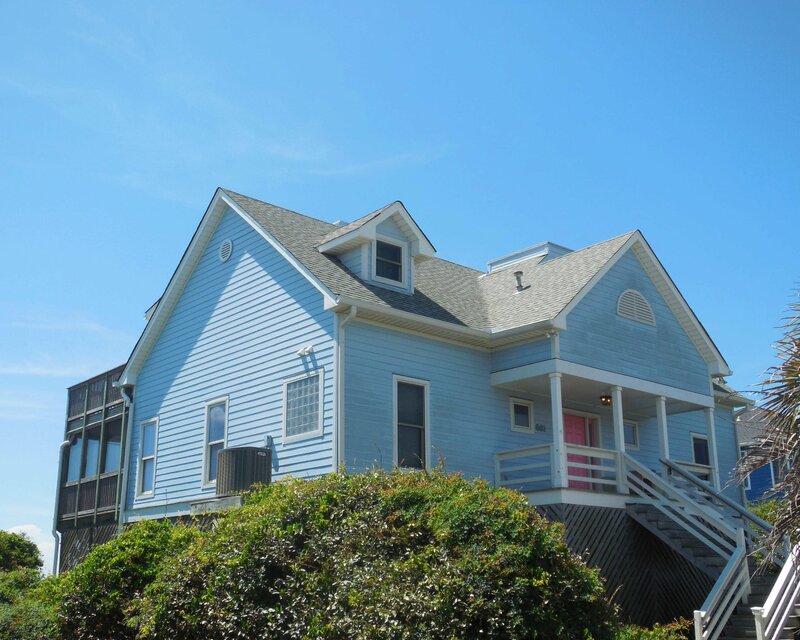 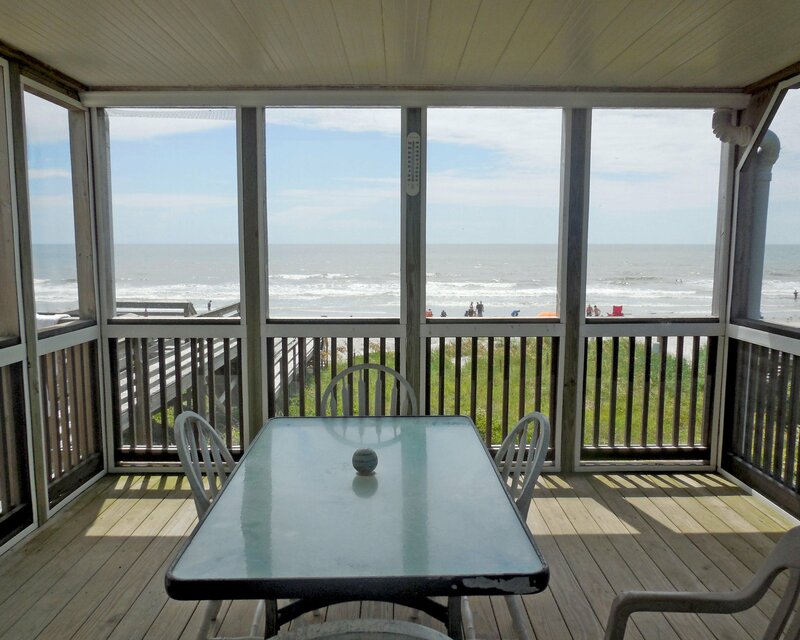 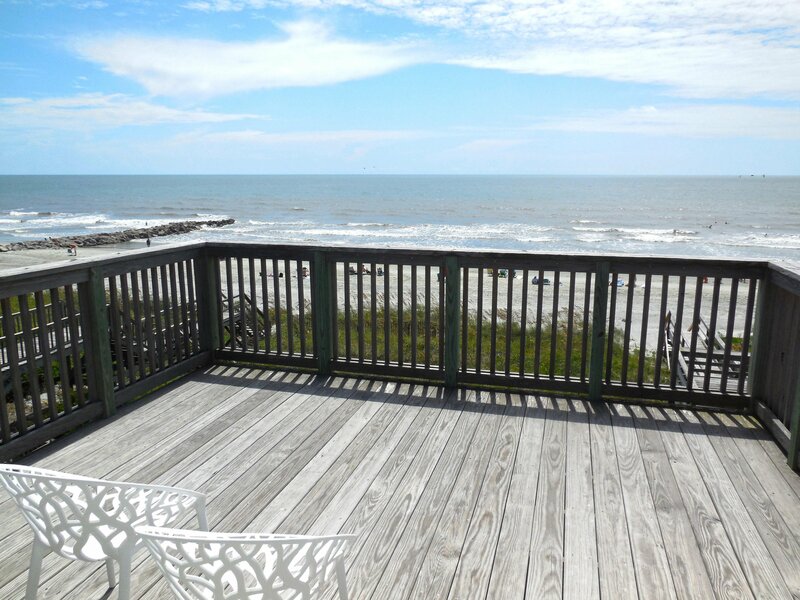 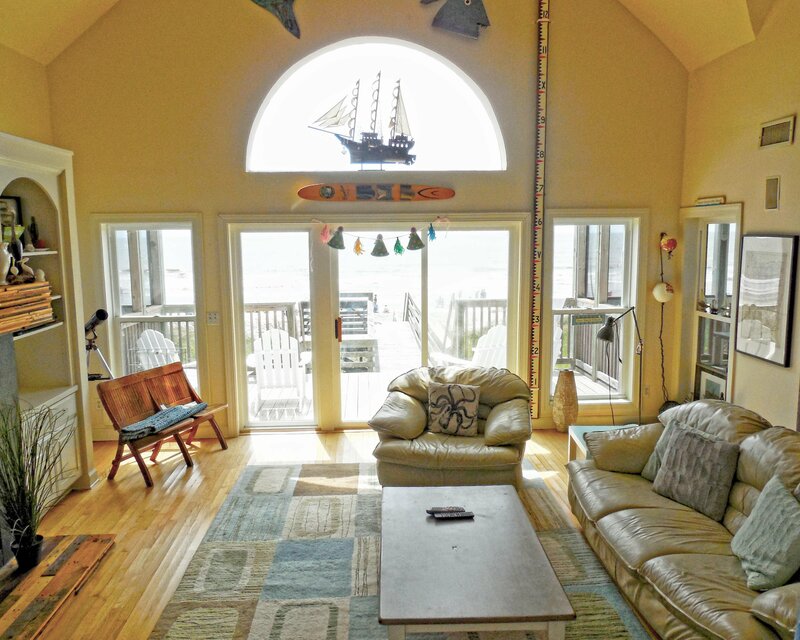 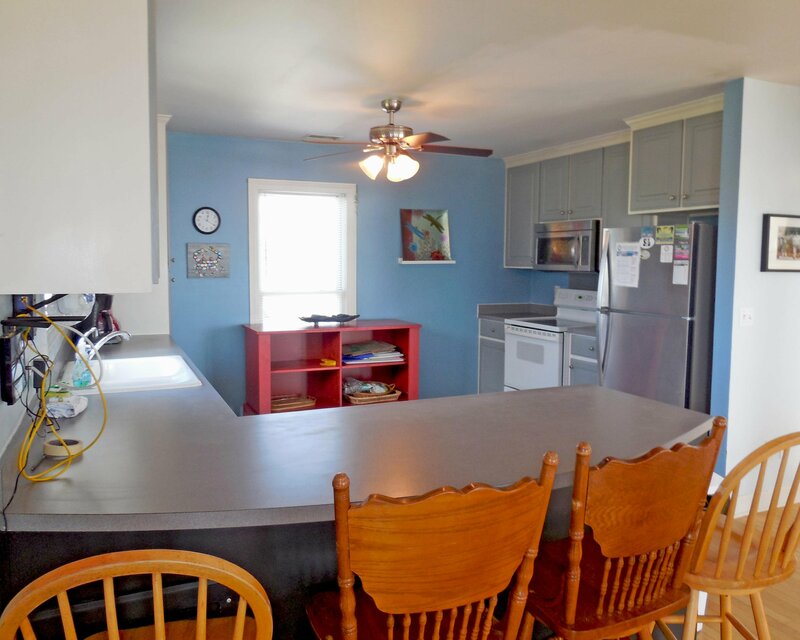 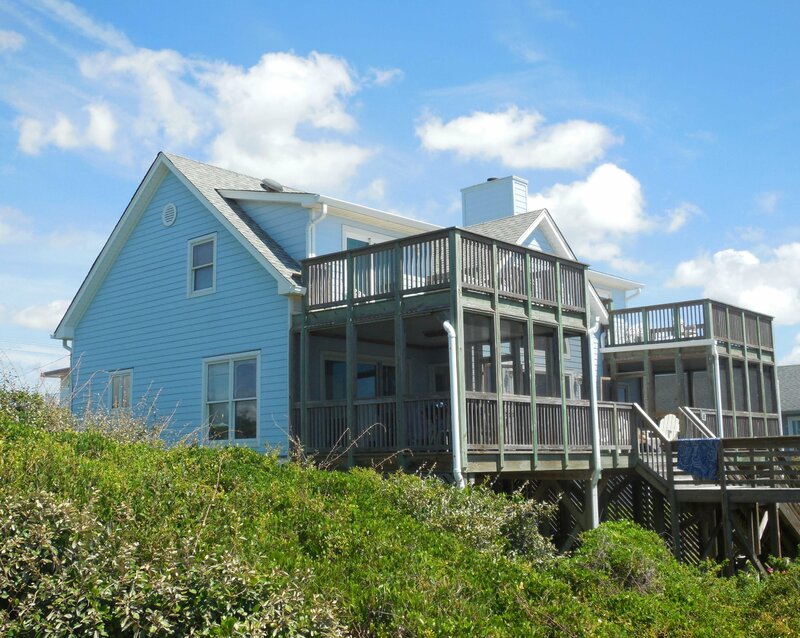 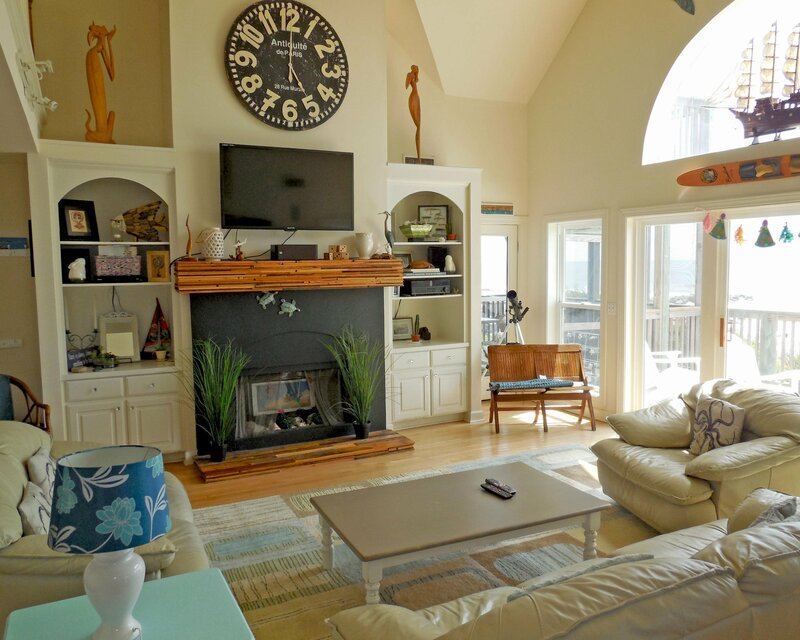 The other 2 bedrooms are on the 2nd floor and both have there own oceanfront deck. 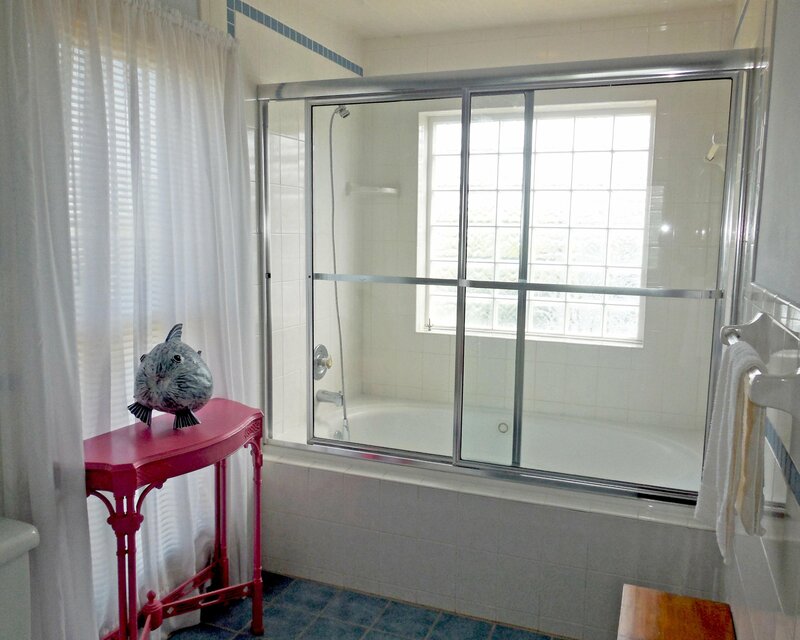 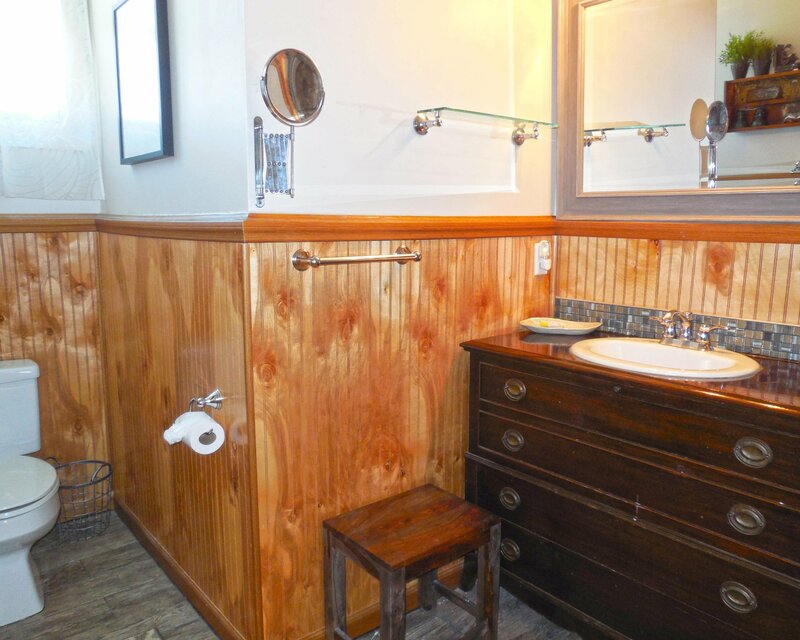 One of the upstairs bedrooms has an ensuite bath. 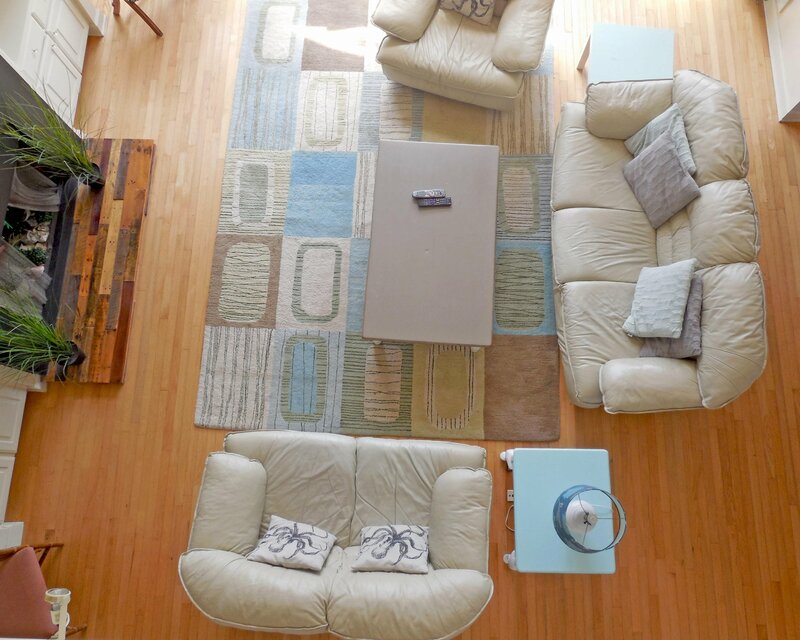 The upstairs loft allows for additonal seating and/or sleeping. 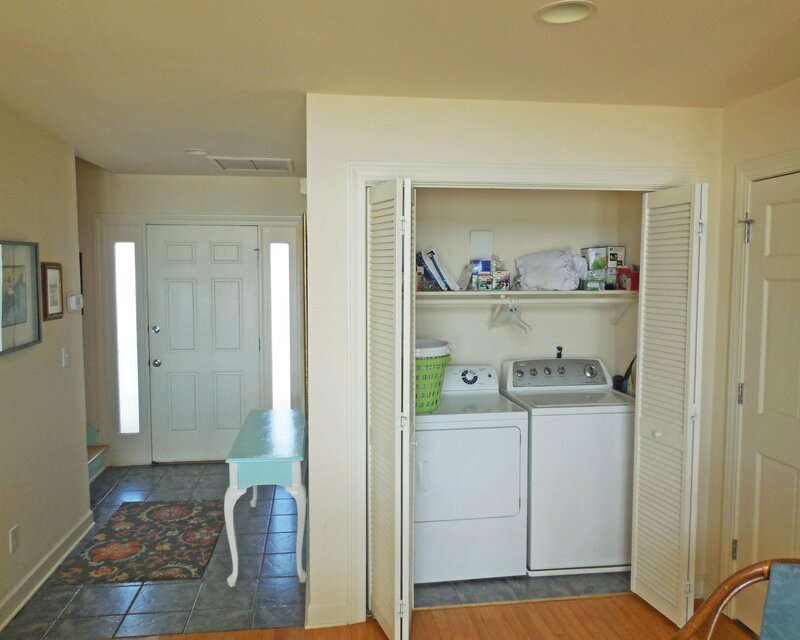 The home has an elevator. 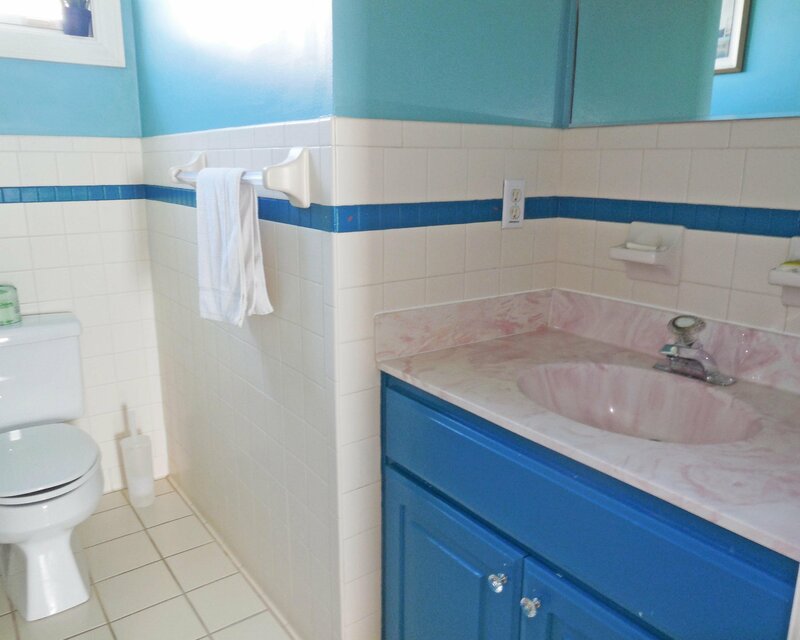 Some baths are updated. 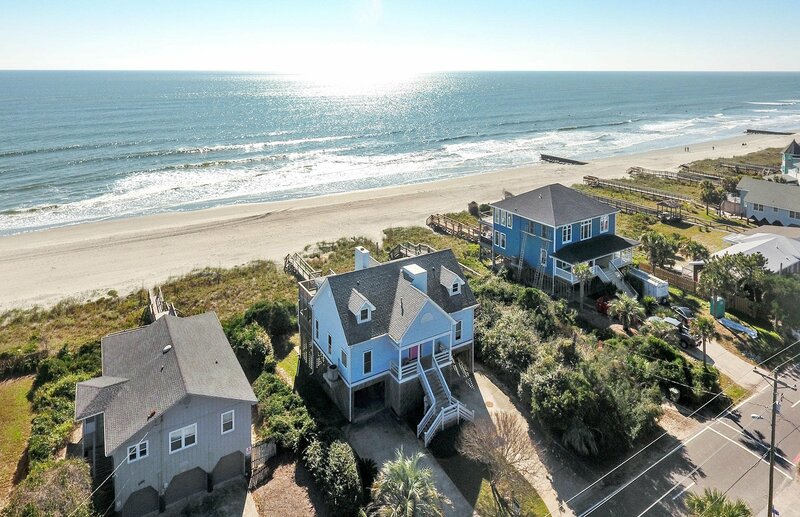 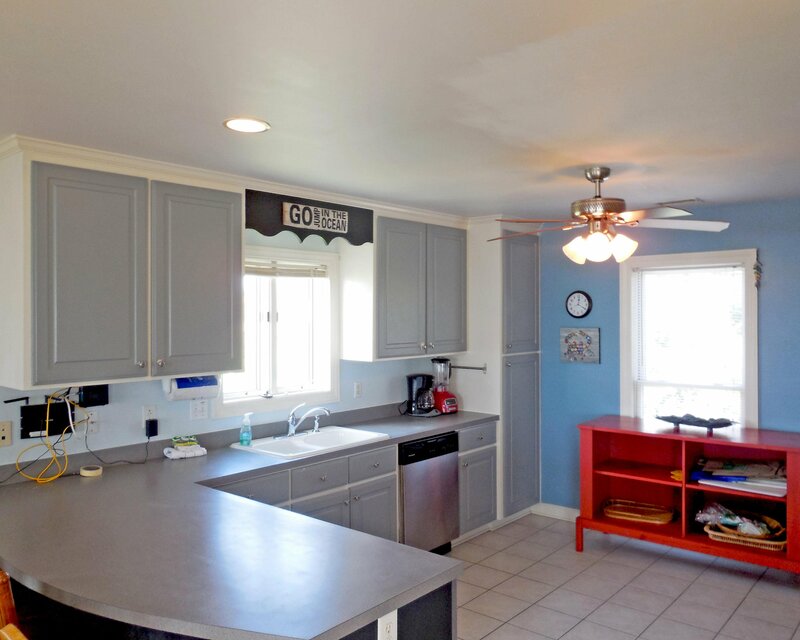 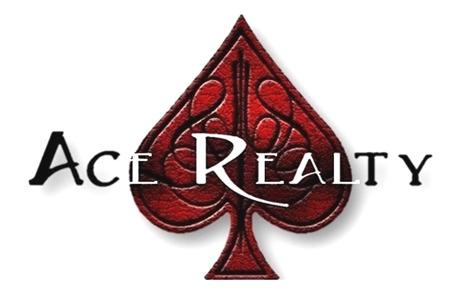 Listing courtesy of Avocet Properties.